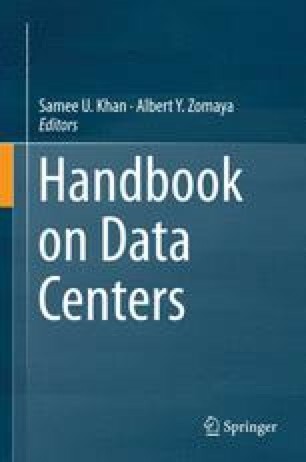 Data centers provides both the applications, systems software and the hardware as services over the Internet, which is named cloud computing [1–3]. It is core infrastructure of cloud computing, supporting dynamic deployment and elastic resource management. With the powerful computing and storing capabilities, cloud computing has become increasingly popular [4, 5]. The fundamental mechanism of cloud is virtualization which allows virtual machines (VM) instantiate stand-alone operating systems on demand based on a software layer called virtual machine monitor (VMM) or hypervisor . Although the virtualization technology provides strong isolation for the cloud, security and privacy are always the open problems . Some of the problems are essentially traditional web application and data-hosting ones, e.g., phishing, downtime, data loss, and password weakness. One of the new problems introduced by the shared environment to cloud computing is the covert channel attack . By this way, information is leaked from the data centers and meanwhile the security provided by isolation is breaken down [9, 10]. This work is supported by the National Science and Technology Major Project No.2012ZX01039-004, No.2010ZX01036-001-002, the National Natural Science Foundation of China No.61303057, No.61170072 and the Major Program of the National Natural Science Foundation of China No.91124014. Samee U. Khan’s work was partly supported by the Young International Scientist Fellowship of the Chinese Academy of Sciences, (Grant No. 2011Y2GA01).